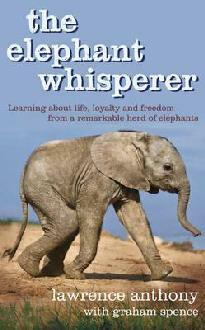 The Elephant Whisperer follows the life of Anthony Lawrence, a South African conservationist who agrees to accept a herd of rogue elephants in order to keep them from being killed. Although this is not the kind of book I would normally choose to read, I was pleasantly surprised. The relationship that developes between Lawrence and the elephants is inspirational. An enjoyable read!